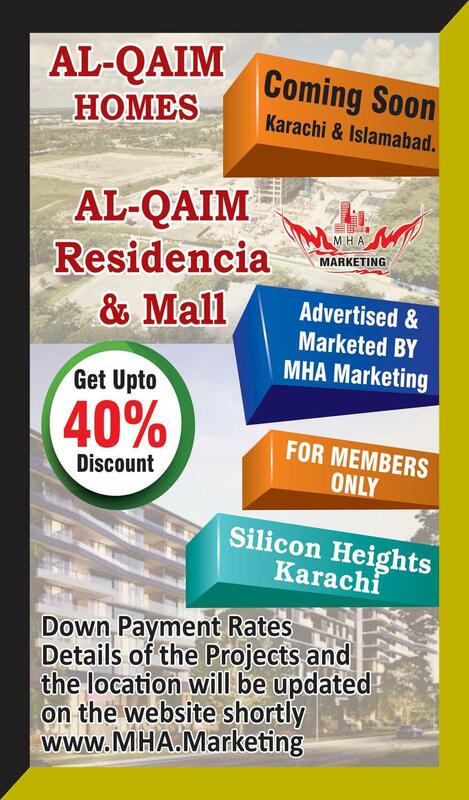 Al Qaim Homes Residencia & Mall Get Upto 40% Discount. MDA Taiser Town Scheme 45 Residential Plots 80,120,240 & 400 Yards. 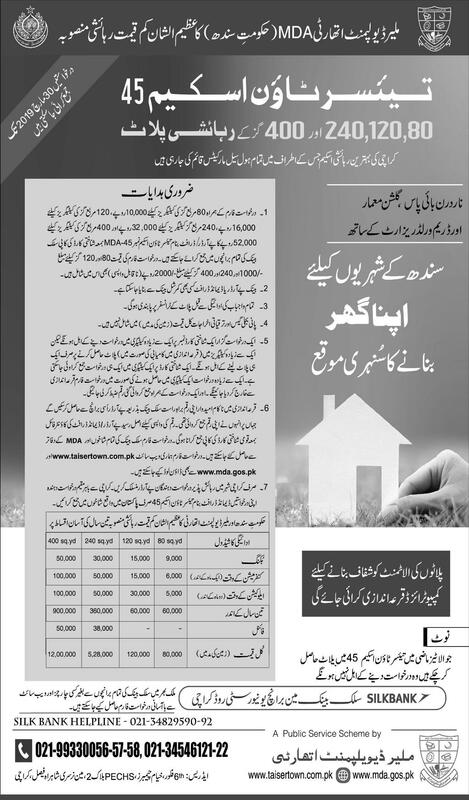 Auction of Commercial Plots in Islamabad 20th February 2019. 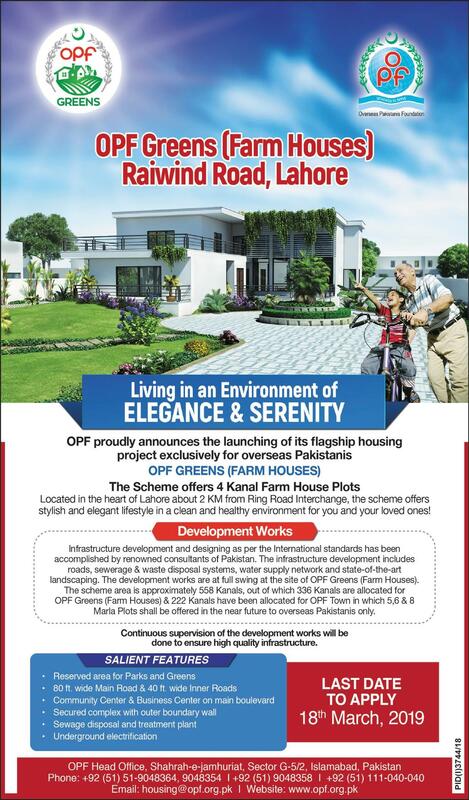 OPF Greens Farm Houses Raiwind Road Lahore Pakistan.